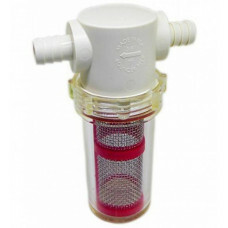 Use this 2 micron stone with an oxygen source or an aeration pump to provide your yeast with oxygen pre-fermentation. 10 inch Beer Filter Housing for filtering your beer prior to bottling or kegging. You will need a filter insert to use this system. It also requires threaded hose barbs for the in and out ports. The Bouncer Inline Beer Filter allows you to brew better tasting and clearer beer, with less waste, and without pumps or additives! Simply connect the filter between your racking cane and keg, or between your boil kettle and fermenter. 0.5 Micron Carbon Water Filter to fit 10 inch housing. 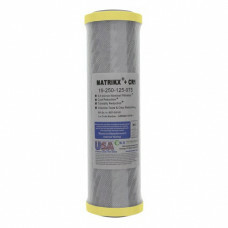 1 Micron Washable Filter to fit 10 inch housing. Indestructible PE reinforced plastic shell to protect your filter from rupturing, or physical damage. 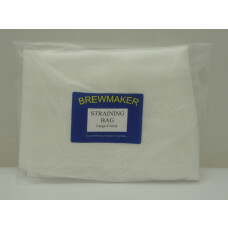 Reusable nylon mesh bags for straining your grain or hops. 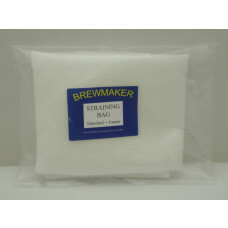 Good for using with the brew in a bag (BIAB) method and can be tied or fitted over your vessel. The hop bomb is ideal for containing pelletised hops or hop flowers. The hop bomb can fit up 30 grams of pelletised hops in the bomb, at 30 grams it will approximately half fill the hop bomb leaving enough space for the hops to move and for you to get efficient extraction of the hop bitterness and aroma. It is ideal for hop additions in the boil. 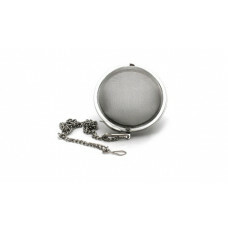 The 30cm stainless chain can be used to attach the hop bomb to the side of your boil kettle or pot. The hop bomb is also ideal for use inside 19L kegs if you have a lid with an internal hook.